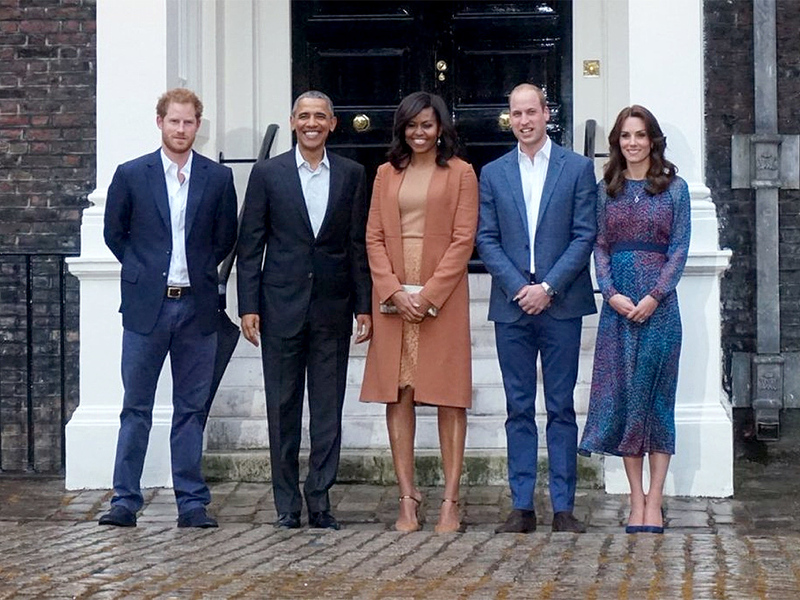 As far as iconic looks go, you can't get much better than the outfit Kate selected to host the President and First Lady of the United States for dinner at Kensington Palace in April 2016. It was not the first time the Cambridges had met the Obamas (hello, Reiss "Shola" dress 😉), but the April visit proved to be a historic occasion in more ways than one. 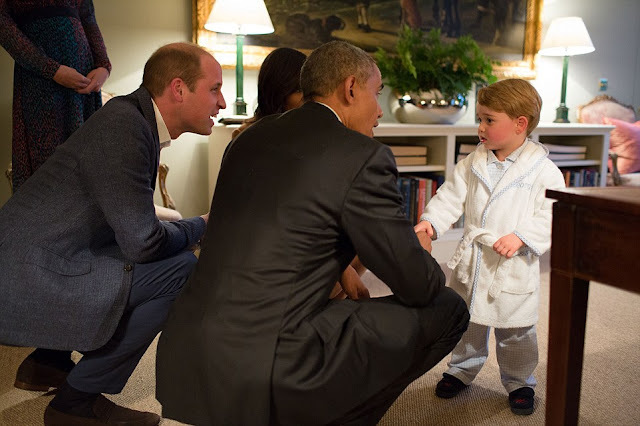 The final visit to the UK at the end of President Obama's eight years in office, it came just after the Queen's 90th birthday and provided a chance for a bathrobe-clad Prince George to be introduced to the presidential couple - a fabulous photo op for us royal watchers! Given the historic significance of the occasion, it comes as little surprise that I was keen to replikate the outfit Kate wore, particularly as back in 2011 I had missed out on the "Shola". Kate's dress was quickly identified as the "Addison" printed silk dress by L.K. Bennett. Described on the L.K. Bennett website as "an eye-catching dress, timeless in its style and fashion forward in its execution. 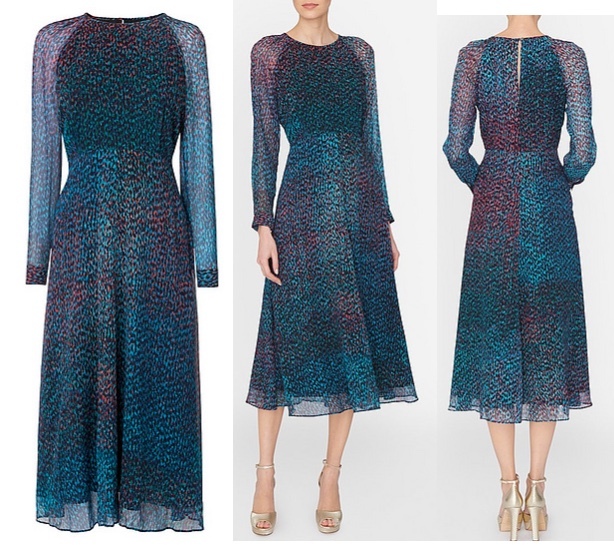 Addison is ideal for events, both formal and casual, with its jewel-toned print, feminine transparent sleeves and ankle grazing length. A dress you'll wear for seasons to come", the dress is made of a semi-sheer 100% silk gauze, while the bodice and skirt are lined in 100% polyester. Still available in very limited sizes on the L.K. Bennett UK/International website (it's sold out on the US site), the "Addison" does not come cheap, retailing for £325/$525 plus shipping (now reduced to £243 on the UK website). So, what's a replikater on a budget gotta do? Scour the web for a more affordable version, of course! Thanks to the invaluable help of a lovely Instagram friend, I was able to locate an ebay seller who offered "Addison" dresses at a fraction of the price. Sounds exciting, doesn't it? 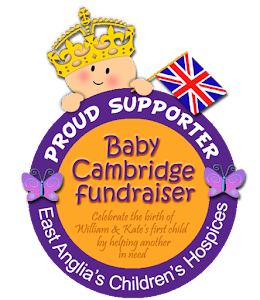 Listed at £179, with free shipping, that's a saving of about 45% on RRP. The catch? The label is missing. I can definitely live with a missing label, so I took the plunge and placed an order. I was slightly doubious to begin with, as the seller is based in China, and the photos on the ebay listing were mainly stock photos lifted from the L.K. 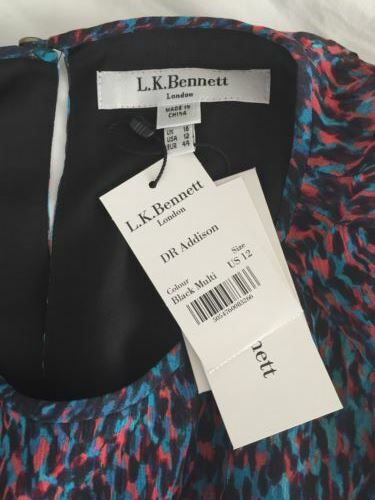 Bennett website, and the ones of the actual dress for sale were very poor quality. However, I figured I'd take the risk. I emailed the seller for more details and got another £10 off the total price, bringing it at £169, including DHL shipping. Result! Shipping was very quick and straightforward: the dress was posted on a Saturday and I received it on the following Monday afternoon; I could follow its progress all the way via text message updates and there were no nasty surprises in terms of hidden customs charges, because the seller had stated a very low value on the export declaration (I know you're not supposed to do that, but I really, really love it when sellers do that!). Overall I'd give the dress a big 5 out of 5! If you're planning to treat yourself this Christmas, you've still got time to place an order. Personally, I'll be channeling my inner Duchess at the office Christmas party - now I just need to find the perfect replikate of her tanzanite earring and necklace set! You look great! 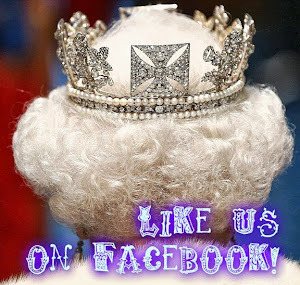 You could try Amazon for the replikate jewelry. If I can find the link I'll send it to you. The dress is stunning you look lovely in it, how do you find the fit is it true to your normal size? Hi Amanda! Thank you for the kind comment! I'd say the dress runs slightly on the small side, if between sizes I'd suggest you go a size up. I'm a biggish UK size 12 and ordered a 14 to be sure, it fits perfectly and I didn't need to have any alterations done.